The Avaya 1600 IP Desk phones are a value-priced family of desk phones designed to meet basic communication . It needs in a low-cost package with the quality and reliability you expect from Avaya. 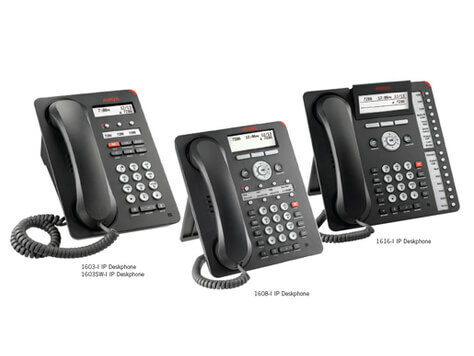 Avaya 1600 IP Desk phones are designed for the same user profiles as the top-of-the-line Avaya 9600 Series IP Desk phones, thus offering a feature-set and price-point alternative. Avaya providing a range of endpoints covering the differing needs of users at all price points. The Avaya telephone makes it possible for companies to equip their workforce with desk phones that look great, sound better, enhance productivity, and turn communications into a competitive advantage. With similar industrial design and administration, the 1600 Series and 9600 Series may deployed in mixed environments or on their own. 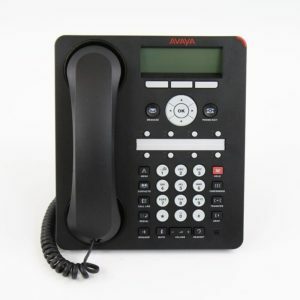 The Avaya 1600 series phone models are Avaya 1603 IP Desk phone, Avaya 1608 Pbx Telephone, Avaya 1616 IP Office Phone. Avaya 1600 IP Desk phones combine traditional telephone features such as dual LED indicators and fixed feature buttons with contemporary innovations such as softkeys, navigation wheel and a context sensitive user interface. Standard on the Avaya 1600 are 2-way speakerphones, backlit displays and multiline capabilities. These stylish desk phones are a smart addition to any retail store, branch or corporate office. The Avaya 1600 Series IP Desk phones combine of past and present. Fixed keys –familiar to any phone user – provide easy access to the common features. Meanwhile, flexible softkeys provide contextual guidance and prompts for ease of use and efficiency. 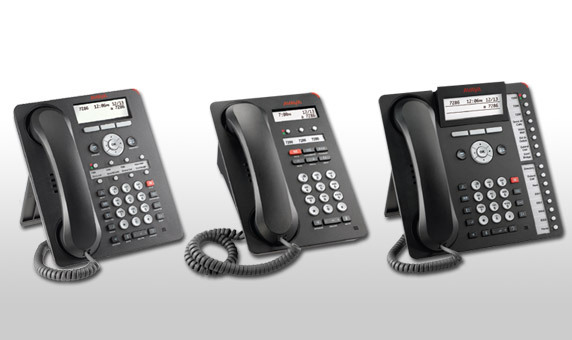 The Avaya 1600 Series IP Desk phones offer clear, clean audio that will satisfy discerning users. The phone’s streamlined industrial design reflects its function as a true business class communications device. 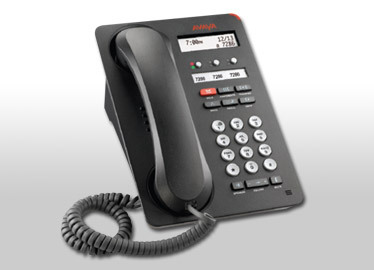 Avaya 1600 Series IP Desk phones have been engineered to adapt to your company’s growing needs. The external Gigabit Ethernet adaptor allows you to attach a PC that can function with a high-speed connection to applications on your network, while the 32-button expansion module for the Avaya 1616-I can custom-programmed to fulfil a wide range of specific user needs. You expect top quality and reliability from Avaya and the Avaya 1600 Series IP Desk phones deliver by giving you a solidly built phone that can outlast competitors’ low-cost phones – stretching your investment and lowering total cost of ownership. It’s a cost-effective solution that delivers significant competitive advantages at its price point. The Avaya 1603-I and Avaya 1603SW-I IP Desk phones are designed for the Walk-up user and the Everyday user. They’re ideal for locations such as common areas in offices, stockrooms, lobbies, or drop-in desks. Visitors – including customers – are examples of Walk-up users who need a phone with a simple, familiar interface. It’s also perfect for the Everyday phone users for whom a phone is not the one critical piece of their communication needs. For Avaya IP Softphone users on Communication Manager and Phone Manager application users on IP Office, this is the perfect desktop companion. 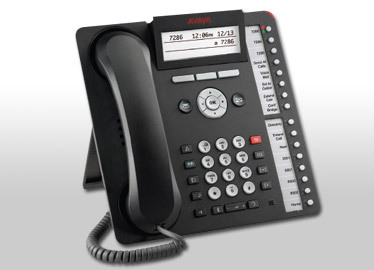 Avaya 1603 IP Desk phone in uae Supports 3 administrable feature buttons. Avaya 1603 telephones Includes fixed feature keys for common telephone tasks including conference, transfer, drop, hold, Mute. 2 lines and 16-character display, backlit for easier viewing in all lighting conditions. Secondary Ethernet 10/100 port for a collocated laptop or PC available on the 1603SW-I. SIP Support on the 1603SW-I provides a low cost basic SIP phone option and integration with the Avaya Aura™ environment. Everyday users typically rely on several forms of communication including voice and email – and while they require a quality telephone, their telephone use is relatively light or straight-forward in nature. Cubicle workers and sales staff within a retail store are examples of Everyday users for whom the 1608 delivers a productivity enhancing telephone. Avaya 1608 IP Desk phone in dubai has 100 number capacity contacts and call log applications that can enhance productivity and personalization. The 3 lines by 24-character display is backlit for easier viewing in all lighting conditions. It can integrate with Avaya Call Recording System. The Avaya 1616 IP Desk phone in dubai is designed for the Navigator type user. Receptionists, assistants, and managers are examples of Navigator users – people who answer incoming calls, transfer customers to different departments or extensions, and monitor several line appearances throughout atypical day. For the Navigator user, the Avaya 1616 IP Desk phone provides the most 1-touch line/feature/speed-dial buttons without the need to scroll through on-screen lists. The Avaya 1616 IP Desk phone supports 16 administrable feature buttons on the phone itself – and a 32-button expansion model provides access to a total of 48 feature keys or speed dial buttons. For a familiar look and feel, the Avaya 1616 IP Desk phone includes several fixed feature keys for common telephone tasks including conference, transfer, drop, hold and mute. In addition, the Avaya 1616 Desk phone includes a high quality 2-way speakerphone and supports a broad portfolio of Avaya wired and wireless headsets through its integrated headset jack. The viewing angle of the display on the Avaya 1616 Desk phone is adjustable and measure 4 lines by 24 characters. Avaya telephone has additional caller related information is displaying with active appearances for easier call handling. For installation and programming of avaya telephone contact Acepaq avaya uae in Dubai, Abu Dhabi, Qatar, Oman, Saudi Arabia, Kuwait and Bahrain.